Hope everyone had a wonderful weekend! We celebrated Mother’s Day with our family, including the boys godparents and their precious baby girl, and it was so special to all be together. We had brunch yesterday at one of our favorite restaurants in Dallas – Bistro 31 – and sat on their sun drenched patio enjoying the gorgeous weather, fabulous food and of course incredible company. The weekend was capped off with a casual dinner with my parents at our house, and I’ll share my blue and white table setting and floral arrangements later this week. Now onto the sandals! White sandals are always on-trend for summer, especially this year. 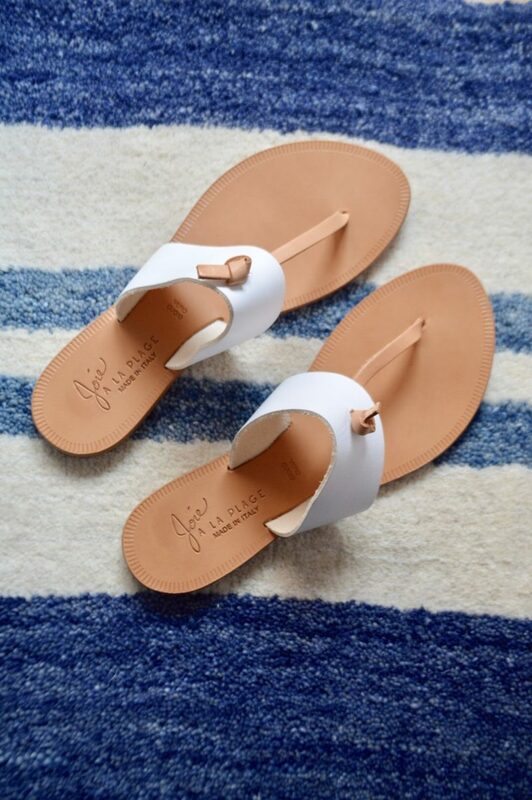 I’m loving these classic ones by Joie (they are also 10% off! ), and can’t wait to wear them with white jeans or maybe a little striped sundress. I’ve included my favorite white sandals and slides for the season, and cheers to a great week ahead!